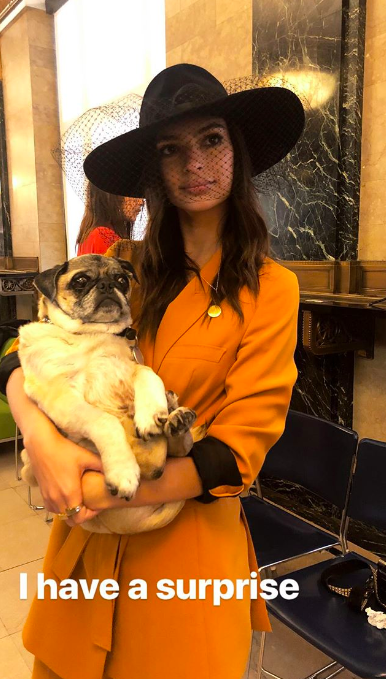 Model Emily Ratajkowski is now a married woman revealing the shock news on Instagram last night. 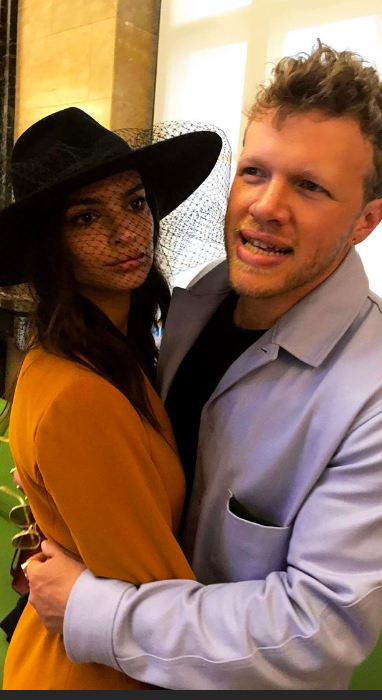 Posting a series of photos on her Instagram story Friday evening (February 23), Emily posed with her new husband actor and producer Sebastian Bear-McClard. 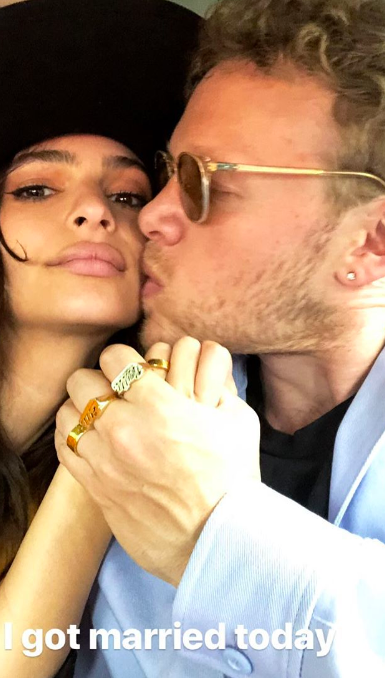 It was not previously known the two were dating as it only emerged last month the model had moved out of her home with ex-boyfriend Jeff Magid. She revealed in this snap that she has ‘a surprise’. The next two photos gave us our first look at her new husband Sebastian who wore a light blue suit and sunglasses. Emily was first seen with then unidentified Sebastian at a basketball game in December with photos of the two kissing surfacing on Valentine’s Day. 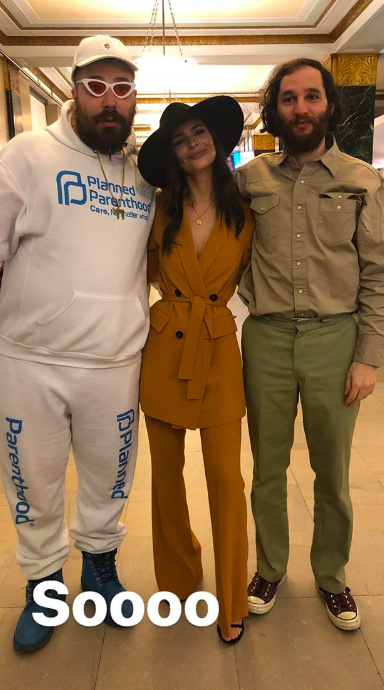 This confirmed the end of her romance with music producer Magid. Not much is known about Emily’s new hubby although according to his IMDB page he is listed as being a producer on indie films including Good Time, which starred Robert Pattinson, Heaven Knows What, and Still Life.